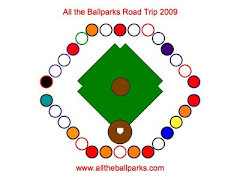 Below is a list of links to posts about the different ballparks, baseball museums, and other baseball sightseeing we have done. It is organized by current MLB Ballparks, Other Ballparks (Triple-A, etc. ), Former Ballparks, Baseball Museums and Exhibits, and Other Baseball Sightseeing. Each category is then alphabetical. Use the find function in your browser if you want to locate the link to a specific baseball related locations.